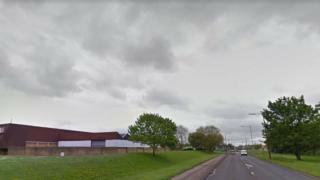 A 17-year-old boy has suffered "serious life-changing injuries" after being hit by a bus, police said. It happened in North Shoebury Road in Shoebury, Essex, at about 15:15 GMT. The teenager was taken to hospital. Essex Police are appealing for witnesses to come forward. A 47-year-old man from Southend has been arrested on suspicion of dangerous driving and has been remanded in custody.